Here Haji Muhammad Yusuf Francis provides the evidence for the sanction Meelad Shareef Function (Moulood, Mawlid) as well as the manners and procedure for conducting such activity. Copy courtesy Maulana Kavir Mohammed. Here, ALLAH, The Mighty, The Wise makes this important revelation that, HE, The Great God, sends blessings along with His Angels to the Holy Prophet and He has further instructed us in His Infinite Wisdom to honour the blessed Prophet in a worthy manner. For this reason, MEELAD SHAREEF Functions have been widespread throughout the Muslim world, bringing to light the value of sending Daroods and Salaams to the Best of the Created, Hazrat Muhammad Mustapha (upon whom be peace). Most surely, in the remembrance of Allah Ta’ala and of His Prophet whose life and deeds are recounted on such occasions, is a source of inspiration and in it there are great blessings. 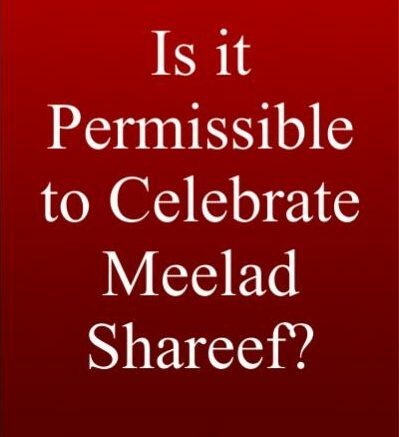 The advantages of a Meelad Shareef Function are many, all depending to what extent and in what form it is conducted. It has played an important part in the social life of Muslims and is observed on any happy occasion to mark the event. 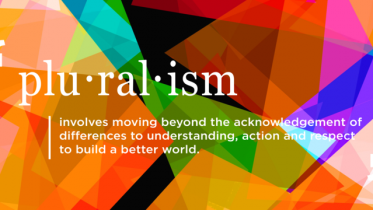 It is a commendable feature that such functions are held in the Muslim community on social occasions instead of un-Islamic practices. Those participating should prepare for such a function by making Wudhu and must sit in humility and respect. There should be no gossiping, laughter or any such thing done to cause distraction while the function is in progress. The reading of Darood Shareef is highly recommended. All talks delivered should be based on Allah Ta’ala and on the life and deeds of the Holy Prophet (upon whom be peace) and on the religion of Islam, free from personal aspirations and political views. Meelad Shareef is a religious function with the aim and purpose of inspiring understanding of the great role the Holy Prophet (upon whom be peace) played in the Universe, so that we may benefit our souls. Meelad Shareef functions conducted in a proper manner, delight the soul and exalt the mind into the realms of peace and happiness and of love for the greatest benefactor of humanity, Hazrat Muhammad (upon whom be peace). Be the first to comment on "THE MEELAD SHAREEF FUNCTION"